With two thirds of the season remaining the competition frontrunners are beginning to become clearer as the ladder starts to take shape. Round nine sees competition leaders Sutherland Sharks looking to bounce back from their shock defeat to Wollongong against the Sky Blues, while fellow high-flyers Blacktown and Sydney United take on Rockdale and Olympic. Meanwhile at the bottom, Bonnyrigg have eyes on all three points as the cellar dwellers look to reignite their crumbling season against Wollongong. The Match of the Round is at Melita Stadium where Parramatta host Hakoah Sydney City East. Parramatta are hoping to avoid a fourth straight loss when they welcome Hakoah Sydney City East to Melita Stadium for this weekend’s match of the round. The Eagles have endured a tough run over the last month after coming up against three of the competition’s early frontrunners in Sydney United 58, APIA Leichhardt Tigers and Blacktown City, but performances so far this campaign have been mostly positive. That will give the hosts belief they can snap their losing streak when Hakoah come calling, although the sixth-placed side have proven themselves tricky customers as we approach a third of the way through the season. Paul Hubbard’s outfit can be a difficult unit to break down and will be looking to keep pace with the top five, particularly on a weekend that sees most of the teams around them play each other. Reigning premiers Manly United have picked up just two points from an available fifteen in their last five matches and a 1-0 loss against Blacktown City last weekend sees the Cromer Park side enter round nine in ninth position. It’s a run of form the competition heavyweights will need to overturn sooner rather than later – but they will need to muster their best performance of the season when they go toe to toe with a flying APIA Leichhardt Tigers. Michael Urukalo’s side started the 2017 campaign with three straight losses but since then, APIA have been in sensational goalscoring form, netting a total of twenty one in their last five encounters. Competition golden boot leader Aedon Kyra and former Western Sydney youth Jordan Morfitis have eight and five goals to their name respectively and will be hoping to fill their boots yet again against a struggling Manly side to lift themselves further up the table. Competition leaders Sutherland Sharks suffered a shock defeat at home to Wollongong Wolves last weekend and will be looking to bounce back when they travel to Lambert Park to take on Sydney FC at Lambert Park. The Seymour Shaw outfit have been in sensational nick and are deserved leaders after eight rounds having scored 30 goals and conceded a meagre nine. Nick Dimovski’s men are a well-rounded side who can produce goals from all over the pitch and it will a big test for the Sky Blues to hold them out. David Zdrillic’s side will come into the affair on the back of three consecutive draws and haven’t won since a 3-1 triumph over Manly United at the beginning of April. Blacktown City will arrive at Illinden Sports Centre full of confidence after a late 1-0 victory over Manly in round eight moved John Carnevale’s side into second position. Blacktown are beginning to hit their stride after an inconsistent start to the season and will fancy their chances at maintaining the heat on Sutherland with three points over a struggling Rockdale side. Rockdale have steadied the ship impressively following their 7-0 hammering at the hands of Sutherland in round six after collecting four points from fixtures against Manly and Bonnyrigg but will need to step up their efforts again to combat a quietly impressive Blacktown side. Sydney Olympic have picked up two points from their last five matches and it won’t get any easier for the reigning champions when rivals United 58 come to Belmore Sports Ground on Sunday lunchtime. The Blues are shipping goals for fun currently having conceded 14 in their last three against Blacktown City, APIA Leichhardt and Manly United and with third-placed Sydney United 58 going about their business very diligently so far this season Olympic will need to summon a big performance at home. Antoni Zmire’s side are riding high in third position and have proven themselves a very difficult side to break down, with just eight goals conceded so far – the equal best defensive record in the competition. While it’s not quite time to panic yet for Bonnyrigg White Eagles given the topsy-turvy nature of the 20’s competition, another defeat this weekend to Wollongong Wolves will certainly have the alarm bells ringing a little louder. Hamish Brown’s side will hope their 2-2 draw with Rockdale last weekend offers a platform to drag themselves off the foot of the ladder, but it won’t be easy against a Wollongong side fresh from a superb 2-0 win away at Sutherland. It’s now two wins in a row for Julio Miranda’s outfit who can start to sense the possibility of a top five position. Although the Wolves haven’t been prolific scorers this season, they ought to have enough against a Bonnyrigg side who have conceded a massive 27 goals thus far. Sutherland Sharks’ grip on top spot of the Playstation®4 National Premier Leagues NSW Men’s 20s competition was loosened after a shock loss to Wollongong Wolves in this week’s match of the round, with Blacktown City moving to within a point of the league leaders after their narrow win over Manly United. Elsewhere, APIA Leichhardt beat Sydney Olympic 5-3 at Lambert Park to move up to fourth spot, while Sydney United 58’s 1-0 win over Parramatta FC sees them hold their place in third, now three points behind Sutherland. Wollongong Wolves snagged a shock 2-0 win over Sutherland Sharks at Seymour Shaw on Saturday afternoon; a result which signalled the first loss of 2017 for the side that leads the Playstation®4 National Premier Leagues NSW Men’s 20s competition. Stefan Dimoski converted an early penalty to put Sutherland on the back foot after just ten minutes, before doubling their lead midway through the second half when Jake Trew’s cross was turned into the host’s goal by one of their own players. After a disjointed start, during which neither side could string together enough passes to threaten the other in attack, Wollongong won a corner kick. The referee saw an infringement in the box as the ball was swung in, and pointed to the spot. Stefan Dimoski stepped up to take the penalty, and slotted the ball to the goalkeeper’s left with ease to open the scoring for the visitors. Wollongong continued to pile pressure on the Sutherland defenders, and James Markovic nearly had the ball in the back of the Sutherland net a few minutes later, but saw his low drive fly just wide of the left upright. The visitors sat back in defence, keeping Sutherland from breaking quickly, while moving the ball with purpose as they went forward. Jake Trew had a shot saved before Dimoski smacked an effort over the bar, as Wollongong pushed to take a 2-0 lead into halftime. The visitors refused to lie down after the break and Sutherland had their keeper to thank for holding the score at 1-0 after Trew burst through on goal, but he took a loose touch at the crucial moment to allow the goalkeeper to smother the ball. Sutherland had their chances too, albeit from slightly further out from goal as Wollongong’s backline held firm. Yet Wollongong doubled their lead in the 77th minute when Jake Trew cut the ball back across the box after an impressive run down the left flank, where it was turned into the goal by a Sutherland defender. Harrison Quirk came as close to getting a goal for Sutherland as any of his teammates had all game when a corner kick dropped for him late in the match, but he drove his shot against the crossbar to leave Wollongong celebrating a clean sheet, as well as three points, at the end of the match. Sutherland’s Nick Dimovski was in good spirits despite the result, pointing to results over the course of the season as evidence of a blip here. "I’m very proud of the boys’ performance – you look at the scoreline and it says 2-0, but how do you coach against a penalty and an own goal? "We dominated the game – the boys gave 110%, as they have for the past eight weeks. If you’d said to me at the start of the season that we’d be top at this point I’m not sure I’d have believed you, but they’ve played so well. We’re looking forward to Sydney FC next week." Wollongong Wolves’ coach Julio Miranda stressed the importance of the win for his team’s morale, after a difficult month for his side: "It wasn’t the greatest performance but given the way things have been going for us it’s all about the result. Team spirit has been a bit low in the last couple of weeks, so this is big for us. "The main thing was to get the result and get a bit of confidence back. We haven’t been off the pace – we’ve lost our last four, but we haven’t been outclassed. I’ve got a good side, we knew we’d get results eventually." Bonnyrigg picked up their second result of the season after drawing 2-2 with Rockdale City Suns at Bonnyrigg Sports Club on Saturday afternoon, but remain three points adrift at the bottom of the ladder with just four points from the first eight rounds. Rockdale stay 10th after sharing the points with Bonnyrigg, and next week face a difficult opponent in second-placed Blacktown City as they look to make a push for the top six. Bonnyrigg, meanwhile, travel to WIN Stadium to take on Wollongong Wolves, fresh from a shock win over competition leaders Sutherland Sharks. Blacktown City moved to within a point of Sutherland Sharks at the top of the Playstation®4 National Premier Leagues NSW Men’s 20s competition with a 1-0 win over Manly United at Lilys Football Centre on Saturday afternoon. Blacktown City’s sixth win of the season takes them two points clear of third-placed Sydney United 58, while Manly’s fourth loss of 2017 sees them drop a place to ninth. Manly’s winless streak stretches into its second month after their latest defeat, having failed to pick up a victory since the third round of fixtures. They return home to Cromer Park to face APIA Leichhardt in round 9, while Blacktown City take on Rockdale City Suns at Ilinden Sports Centre. Sydney United 58 scraped a valuable win at home against Parramatta FC on Sunday afternoon; the 1-0 victory helping the hosts to close the gap between themselves and Sutherland Sharks to three points. United are now four matches unbeaten, while Parramatta’s second consecutive loss means they slip to 11th place, just three points clear of Bonnyrigg White Eagles. Sydney United will look to keep up the pressure on the two sides above them when they face Sydney Olympic next week, while Parramatta host Hakoah Sydney City East at Melita Stadium. APIA Leichhardt and Sydney Olympic played out a high-scoring thriller at Lambert Park on Sunday afternoon, with APIA scoring five of the game’s eight goals to win 5-3. The result means APIA jump two places to fourth, while Sydney Olympic drop two to seventh at the end of round 8. Unbeaten in five matches, APIA will turn their attentions to their clash with Manly United at Cromer Park next weekend. Sydney Olympic, whose last win came in round 3 against Sydney FC, return home to Belmore Sports Ground to take on Sydney United 58. Hakoah Sydney City East and Sydney FC shared the points after a 0-0 draw at Hensley Athletic Field on Sunday afternoon, a result which took Hakoah into the top six places at the conclusion of the round. Hakoah sit level with Sydney Olympic on 11 points but have conceded two fewer goals than the team in seventh, and will look to continue their charge up the ladder when they take on Parramatta FC at Melita Stadium in round 9. Sydney FC, meanwhile, stay a point above Hakoah in fifth after the draw, and next week face the daunting prospect of a Sutherland side licking their wounds after their round 8 loss to Wollongong Wolves. Sydney Olympic has bounced back from the sudden resignation of coach Jaime Monroy to deliver an inspired 2-1 win against former PlayStation®4 National Premier Leagues NSW Men’s competition leaders APIA Leichhardt Tigers at Lambert Park on Sunday. The sudden departure of Portuguese head coach Jaime Monroy proved no distraction for the visitors as they notched their fifth win of the season in impressive style with interim manager Peter Zorbas. Olympic gave their travelling fans a performance to be proud of as they raced out of the block with Yu Kuboki and Radovan Pavicevic finding the net during the first half. APIA struggled to find their way into the way during what was a lethargic performance from Danial Cummins’ top of the table side. A late goal from tricky winger Corey Bizco proved to be a mere consolation for the home side as they suffered only their second defeat of the season. The first half proved to be a tense affair with both sides creating few chances. Both teams were quick to get on each other’s nerves with plenty of robust tackling creating some heated moments. Olympic was the first to find a break through with Kuboki getting on the end of a stunning Pavicevic cross to give the visitors the lead. The hosts looked to respond and star man Sekiya stung the palms of Paul Henderson just before the 15-minute mark with a rasping shot. Olympic doubled their lead shortly after. An accurate set piece from Max Burgess found Pavicevic who glanced a header into the far side of the net after breaking free of his mark in the box. The second half was best described as a physical battle of attrition as both teams fought doggedly in midfield for control of proceedings. Olympic held the upper hand and a Niko Tsattalios cross was barely cleared out for a corner before Mitchell Stamatellis volleyed over the crossbar moments later. The game opened up in the 70th minute when Sekiya had a shot saved after a mazing run. Luckily for the hosts Corey Biczo was on hand to finish it off and cut Olympic’s lead to 2-1. The home side kept trying for an equaliser but to no avail. Firstly, a header which went over the bar from Nathan Millgate before Matthew West was denied by Henderson. Olympic had the chance to add a third goal but a desperate Tigers defence blocked shots from Hagi Gligor and Pavicevic. Interim Olympic coach Peter Zorbas was full of praise from his side’s response to what was a difficult week for the club. “Jaime’s resignation was unfortunate but the response today was important and it was nothing short of fantastic,” he said. APIA Leichhardt Tigers Coach Danial Cummins said small errors cost his side. “It was a tough game, they’re a good side,” he said. “It was the worst time to play them after the week they had. Two silly errors cost us two goals. It’s as simple as that”. APIA Leichhardt Tigers: 22. Luke Turnbull, 2. Nathan Millgate, 3. Paul Galimi, 4. Joshua Symons, 8. Corey Biczo, 11. Jordan Murray (45’ 9. Matthew West), 15. Themba Muata-Marlow, 16. Sean Symons, 18. Adrian Ucchino (60’ 10. Franco Parisi), 19. Brandon Lundy, 20. Tasuku Sekiya. Sydney Olympic: 1. Paul Henderson, 5. Yianni Spyrakis 6. Mitchell Stamatellis, 7. Will Angel, 8. Jason Madonis, 9. Radovan Pavicevic, 10. Darcy Burgess (72’ 4. Tom Whiteside), 12. Yu Kuboki (90’ 15. Sebastion Malfara), 14. Max Burgess, 33. Niko Tsattalios (78’ 99. Paul Katsetis). Substitutes not used: 20. Eze Consoni, 23. Tass Mourdoukoutas. Rockdale City Suns are top of the table after an editing Round 8 of the PlayStation®4 National Premier Leagues NSW Men’s competition. A big win from the Suns ensured they would finish the round in first place after APIA went down to an inspired Sydney Olympic side on Sunday afternoon. Rockdale City Suns remains undefeated but will need to maintain their defeat free streak if they are to hold out second placed Blacktown City FC who have also not yet lost a game this season. Only three points splits the top four teams with plenty on the line coming into the mid-point of the season. Blacktown City survived a late scare against Manly United to edge fellow championship hopefuls Manly United FC 3-2 at Lilys Football Centre on Saturday evening. It was one way traffic after 80 minutes for the hosts with a brace from star Danny Choi and a goal from substitute James Andrew sending Mark Crittenden’s side heading toward a comfortable victory. But late consolation goals from Nikola Taneski and Travis Oughtred sliced Blacktown City’s advantage and added a sheen of respectability to the score line the visitors had scarcely merited prior to their fightback. Although the visitors were handicapped by the unfortunate late withdrawal of Matthew Fletcher, who was replaced by Taneski in the matches opening moments after a nasty collision with the fence, Warren Grieve’s side could only manage a handful of shots en route to their consecutive third match without a win. The win means Blacktown City remain undefeated this season after eight rounds and now sit in second position on the ladder behind only on goal difference with leaders Rockdale City Suns. Two goals from star Japanese import Yuzo Tashiro has helped Wollongong Wolves to a handy 3-0 victory over Sutherland Sharks at Seymour Shaw on Saturday night. Jacob Timpano’s side took a 1-0 lead into halftime after an early own goal from Christopher McStay, and doubled it midway through the second period with a confident penalty from Tashiro. The striker claimed a second goal in the closing minutes of a game in which Sutherland fought hard to compete, but were left wanting in the crucial moments. It’s been a tough few days for the Sharks who on Thursday saw their coach Carlos Vilazon part company with the club after their shock Westfield FFA Cup exit at the hands of PlayStation4 National Premier Leagues 3 NSW Men’s outfit Fraser Park. The win was Wollongong second straight and has them in seventh position on the ladder, only two points out of the top five. Sutherland is in tenth. Bonnyrigg White Eagles’ woes continued as Rockdale City Suns extended their unbeaten run romping home to a 5-0 victory on Saturday night at Bonnyrigg Sports Club. A double to Alec Urosevski and Jordan Figon, as well as a goal to Toufic Alameddine helped the visitors to the comprehensive win. Urosevki opened the scoring in the eight minute but it wasn’t until the start of the second half when Rockdale really took control when they scored three goals in five minutes. Figon capped off the result with a 91st minute goal to make it 5-0. For the White Eagles it would be their seventh loss in eight games as the horror season continues for Brian Brown’s side. Sydney United 58 has piled more misery on Parramatta FC with a one sided 5-0 thrashing at Sydney United Sports Centre on Sunday. Panny Nikas found the net from a cracking free kick as he led his side in a free scoring affair with Matt Sim scoring a double while, Glen Trifiro and Yutaro also found the back of the net. Parramatta struggled to match it with a reinvigorated United 58 who appear nothing like the side which suffered a slow and frustrating start to the season. Parramatta remain in 11th spot on the ladder, while the three points has Sydney United 58 move into fifth. Sydney Olympic has bounced back from the sudden resignation of coach to deliver an inspired 2-1 win against PlayStation®4 National Premier Leagues NSW Men’s competition leaders APIA Leichhardt Tigers at Lambert Park on Sunday. The sudden departure of Portuguese head coach Jaime Monroy proved no distraction for the visitors as they notched their fifth win of the season in impressive style. A 60th minute Brad Walker strike has helped Hakoah Sydney City East clinch a hard fought 2-1 PlayStation®4 National Premier Leagues NSW Men’s win against Sydney FC at Hensley Athletic field. The hard fought victory was Hakoah’s third of the season and first ever win against their Eastern suburbs rivals. After taking the early lead through Andre De Jong, Sydney FC could have equalised going into the break but for a penalty that hit the post. Hakoah were then caught early in the second half by a Charles Lokolingoy goal which seemed to spur them back into action and, thanks to Walker’s goal shortly afterwards, ensured that they would secure all three points. The hard-fought victory was Hakoah’s third of the season and first ever win against their Eastern suburbs rivals. The opening goal arrived in the 4th minute when a poor clearance from goalkeeper Tom Heward-Belle was intercepted by Andre De Jong and sent straight back past the young shot stopper into the back of the net. The goal was a gift for the home side and the Sydney FC bench must have rued such an error. Hakoah were at it again in the 9th minute when an Alek Lekoski cross from the left reached Jack Green who found his shot on target neutralised by Heward-Belle. In the 17th minute a nice run along the by-line by Bai Antoniou ended when his cheeky shot was well saved by Anthony Bouzanis. It was Sydney FC’s first real chance of the match. Antoniou found himself with some space in the 24th minute and fired towards goal from some distance, But the skilful winger’s effort narrowly sailed over the crossbar. Hakoah came close in the 26th minute when De Jong rolled the ball across from the right to Jack Bell, but his shot lacked power and goalkeeper Heward-Belle made a desperate save low down to his left.  In the 39th minute Sydney FC were awarded a penalty when the ball bobbled up from Christian Gonzalez and hit the hand of Gavin Rae. From the 11-metre mark Chris Zuvela took the spot kick but, despite sending goalkeeper Anthony Bouzanis the wrong way, the ball hit the post and Cameron Draper cleared the rebound. It was close indeed but no goal much to the delight of the home faithful as Hakoah went into the break with a 1-0 lead. In the second half in the 48th minute a nice turn and swivel by Gideon Sweet in the box ended when his shot was well saved by Heward-Belle. A minute later though Sydney FC scored an easy goal when a cross from the right was headed by Brad Walker. However, it went straight into the path of Charles Lokolingoy who volleyed it home. It was really a goal out of nothing and certainly one that seemed to stun the home side. Anthony Frangie missed a gilt-edged chance in the 57th minute when he missed the target while one-on-one with the keeper after some brilliant lead play where he clicked the ball over his marker. However, Hakoah were successful shortly afterwards and did regain the lead in the 60th minute when, after some aerial ping-pong, the ball fell to Walker who delightfully turned his volley into the bottom corner of the net. A minute later a dangerous William Mutch cross from the right to Lokolingoy in middle almost resulted in Sydney FC’s equaliser, but his shot was just wide of the mark. The game ebbed and flowed and in the 70th minute an outstanding, floating cross from the right by Neil Jablonski reached De Jong at the far the post. His dangerous volley from close range was well saved by the feet of Heward-Belle. It could have been game over there and then for Sydney FC had they conceded again. Despite a tightly contested final twenty minutes of the encounter, there were to be no further changes to the score. “To get the points is the most important thing but it was the professional performance which is what pleased me most,” he said. Meanwhile, over in the Sydney FC dressing room coach Robbie Stanton was philosophical and pleased with his side’s performance. “I was happy with our performance. We made a mistake at the start and confusion led to a goal which put us on the back foot straight away,” he said. “Unfortunately we missed a penalty and then in the second half we eased ourselves back into the game gradually.